This is also a gazelle. A gorgeous gazelle. Hi! I’m Katarina, and this is my running/gazellelike-activities blog. 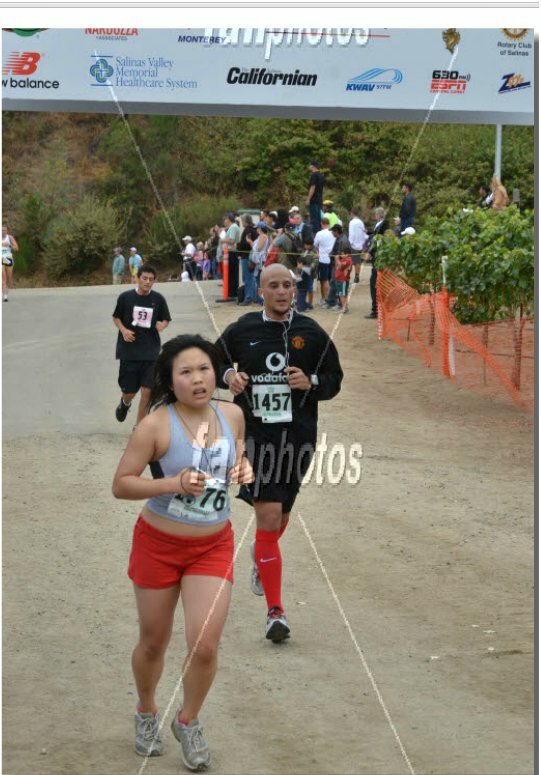 I just started running in the summer of 2011. I’ve never been a runner: I’ve never run a recorded mile faster than 8:53 (high school P.E.). During high school, I thought people on XC and track were mythical gazelles, graceful, leggy, feather-light antelopes. I didn’t grasp the concept of running more than a mile. In my third year of college, an old floormate and I made a pact to get fit and run a marathon – but 26 miles? Hahahaha, sure, in the future. The very distant future… Except she ran it the summer before fourth year, and when I found out she’d actually stuck to our pact, I was so inspired that that week I started Hal Higdon’s Novice I program. So here I am, going from shocked-I-could-run-three-miles to a marathon(-er)? And maybe one day I will metamorphose into a gazelle. Although I’m pretty sure gazelles come from amniotic sacs, not pupae. I also have a dailymile you can check out!